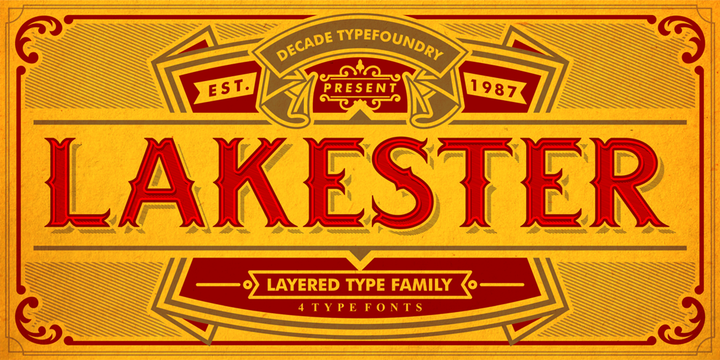 Lakester is a typeface inspired by old american west poster that has four fonts, published by Decade Type Foundry. You can created different effects and it merge for poster, logo, title etc. A font description published on Friday, January 17th, 2014 in Decade Type Foundry, Fonts, Gilang Purnama by Alexandra that has 4,767 views.